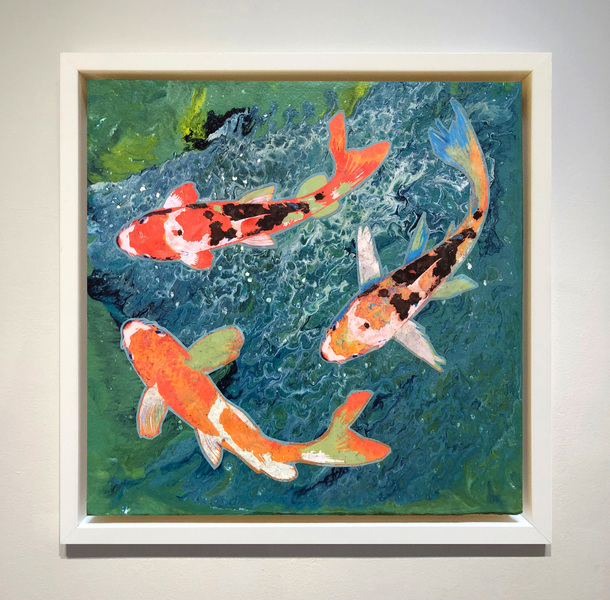 Heidi Lewis Coleman will be exhibiting her Acrylic & Cut Paper piece, KOI POND 2, in the Pequot Library's upcoming 21st Annual Art Show and Fundraiser. This much-anticipated Southport tradition was juried by Bob Burns, Director of the Mattatuck Museum. Show Dates: October 13th - 21st. The Pequot Library is located at 720 Pequot Avenue, Southport, CT.